Welcome to the home of the best precious metals charts available on the Internet. 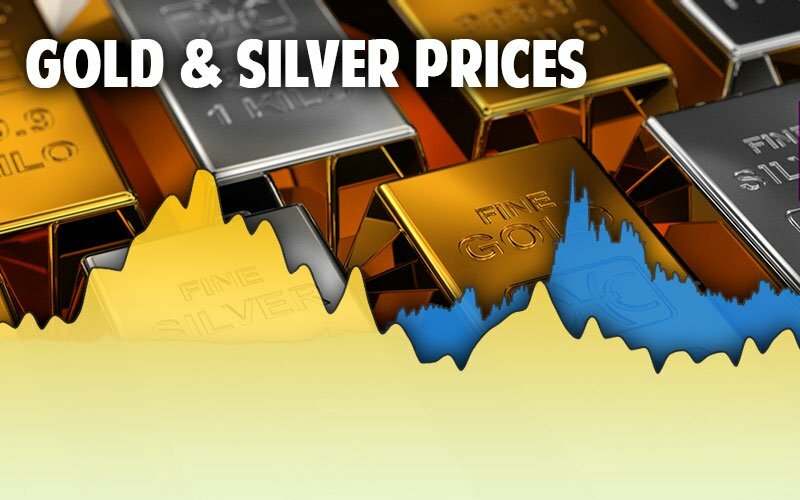 You can access live and historical information about gold and silver prices, precious metals charts, and the market factors that drive them. 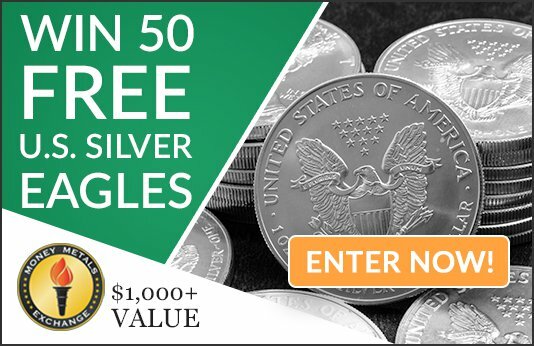 Your goal is to build wealth, and you can depend on MoneyMetals.com as a reliable source for live pricing on the most popular and widely traded gold and silver coins and bullion. We publish both our buy and sell prices using the latest spot price. Our forte is in providing current gold and silver prices, along with charts and other information on physical precious metals. But before we get to that, we’ll outline some differences between the information you’ll find here and information on related assets you may find elsewhere. Wise investors understand what a price actually represents and get firm price quotes before making investment decisions. There are many ways to invest in precious metals and organizations quoting a variety of prices – from gold and silver spot prices, to share prices for ETFs and mining companies. Below we’ll outline some of the institutions and the prices they report. What is the Relationship between Spot Price and Future Price? Futures exchanges are where the “spot” prices for the precious metals are set. 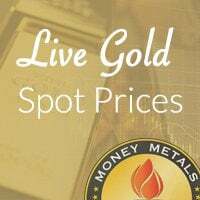 For gold and silver investors, the spot price is the one most commonly used. It is the price you see on CNBC, in the newspaper. Technically “spot” refers to the price at which a futures contract for nearest active delivery month was most recently traded. It fluctuates up and down from second to second while the exchanges are open and trading – much like stock prices do. 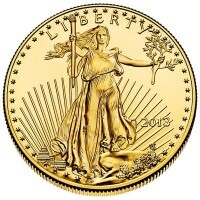 It is the price most commonly used when pricing bullion. And it is the price you see at the top of this page. The COMEX is the largest and most commonly referenced of the futures exchanges when it comes to establishing prices for physical gold, silver, platinum and palladium. The Commodity Exchange, or COMEX, merged with the New York Mercantile Exchange (NYMEX) in the 1990s. But gold and silver futures are also traded on a number of exchanges all around the globe. That means spot prices are updating nearly 24 hours per day except for weekends. 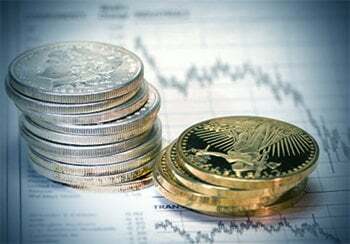 The futures markets specialize in commodities of all types, including gold and silver. Traders buy and sell contracts for a fixed quantity of a commodity, to be delivered at some future date. The standard contract for silver is for 5000 troy ounces, while the gold contract is for 100 troy ounces. Manufacturers and raw goods producers can use these contracts to plan their business and prevent price uncertainty. For example, a jewelry manufacturer can buy a contract for delivery of 1000 ounces of gold in 6 month’s time, but pay today’s gold price. The seller of that contract might be a gold miner who wants to sell and deliver 1000 ounces later, but receive today’s price. However, the vast majority of futures contract buyers have no interest in taking possession of the physical bars. And not many sellers intend to deliver the actual metal. Instead they are speculating only on price. To buy and sell contracts, one only need to come up with a small fraction of the total contract price. That means traders can make leveraged bets. For example the silver contract grants control over 5000 ounces, but the trader need only forward funds to purchase 500 ounces, or perhaps less – depending on the margin required by the exchange. If the silver price rises, the owner of the contract reaps the gains for all 5000 ounces. Likewise, if the price falls the owner must bear all the losses. If the balance in the trader’s account should fall below a minimum level they receive a “margin call” and must forward additional funds. 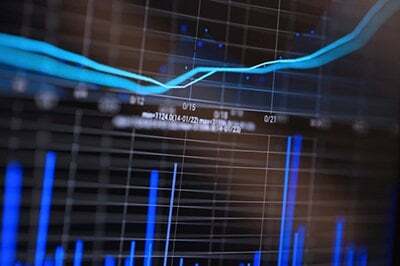 These highly leveraged and volatile markets are generally not suitable for inexperienced traders or for anyone investing funds they cannot afford to lose. Fortunes can be made or lost overnight. Many investors in physical metal wonder whether the futures markets are the best place for price discovery, given they are dominated by speculators and can often trade opposite fundamental drivers such as supply and demand. However, until investors demand change, the futures markets will continue to provide the basis price for physical bullion. Until investors demand change, the futures markets will continue to provide the basis price for physical bullion. The LBMA is an association dominated by many of the world’s largest banks who also make a market in physical gold and silver bullion bars. The group is headquartered in London and is perhaps best known by bullion investors for establishing the “fix” price. This price is unlike the spot price in that it is set just once per day in silver and twice per day in gold. The fix price does not fluctuate from moment to moment. Fix prices are often referenced in contracts and agreements involving large quantities of metal. Parties can agree to trade at the fix price and avoid worry about agreeing on a particular spot price while it bounces around. And using a fix price makes it easy for either party to hedge. Bullion dealers, for example, can sell inventory to a customer and buy replacement inventory from a mint using the same fix price as the basis. Once again, they avoid worrying about the spot market moving against them during the period between completing the sale and making the offsetting purchase. The New York Stock Exchange, the NASDAQ and other stock exchanges are the home of securities trading. Securities are paper certificates representing exposure to, but not necessarily control of, an underlying asset. For metals investors this can include Exchange Traded Funds (ETFs) such as $GLD or $SLV as well as shares of mining companies such as Barrick Gold. Prices for ETFs are easily confused with the spot prices of physical gold. But they are derivative investments. While the fund may buy and sell physical gold or silver bars, the shareholders, with exception for a small and select group who hold a special designation, have absolutely no claim on the bars held by the fund. And transaction and management fees gradually chip away at the share price which means, over time, ETF prices fall relative to the market price of the metal held inside the fund. Shares of mining companies are a different animal altogether. While share prices of a gold mining company such as Barrick and gold spot prices very often move correlated with one another, valuing the stock is a lot more complicated. Investors must factor the quality of the mines operated by the company, the competence of the firm’s management, regulatory burdens and huge number of other variables in addition to the variables involved in the metal price. Mining company shares can, and often do, go to zero value – even when gold or silver prices are high. There are also ETFs which specialize in the shares of precious metals mining companies. The XAU is one such holding stocks in primary gold producers. Once again you should not be confused into thinking the XAU price is the same as the gold spot price. The standard unit for gold and silver in the US, Canada and the United Kingdom is the troy ounce. The standard unit for gold and silver in the US, Canada and the United Kingdom is the troy ounce. If the unit is not expressly stated as such when the price is quoted, it is safe nevertheless safe to assume. A troy ounce is slightly heavier than the avoirdupois or standard ounce. There are 14.5833 troy ounces to the standard pound. Most of the rest of the world uses metric units such as the gram and kilogram as the standard unit. 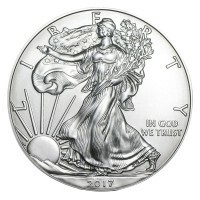 While the spot or fix price used as the basis for valuing gold and silver bullion products does not vary based on quantity, the per ounce or per gram premium buyers and sellers receive for their coins, rounds and bars will vary. Like many products, larger quantities often mean lower prices. So making less frequent purchases in larger volume is a good way to lower your overall price per ounce (oz) or per gram (gr). Buying a large bar instead of a number of small coins is another way to pay less premium. The cost per ounce to manufacture the bar is less than the cost to make multiple coins – that means savings. Just remember that saving money by buying bars today will likely come with a cost later when you are ready to sell. Bars cost less when you buy and bring less when you sell. Larger bars also cannot be broken down and sold in smaller lots, making them a bit less versatile than smaller coins or rounds. From the pound and yen to the euro and the dollar, gold and silver are priced in the local currency of nations worldwide. Americans gauge price action in US dollars (USD). But in a world where all currency is fiat, and inflation rates differ, metal prices may perform quite differently depending on which nation’s money is used to value it. There are online calculators and websites devoted to quoting gold, silver, platinum and palladium prices in the world’s major currencies. There are bullion dealers located everywhere buying and selling for whatever may serve as cash locally. Gold and silver provide holders liquidity and a store of value regardless of where they are or where they are going. 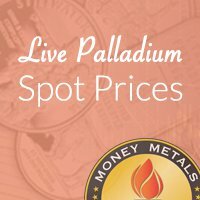 Today it is easy to find live spot prices. 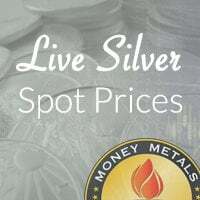 Most major precious metals dealers, including Money Metals Exchange, publish live prices. Just look to the top of this page! So do financial news sites such as CNNMoney, Marketwatch and Bloomberg. Now that you understand gold and silver prices, you are ready to invest. Right now is a great time to diversify out of paper money and assets and buy tangible gold and silver. You do not need a lot of money to get started. 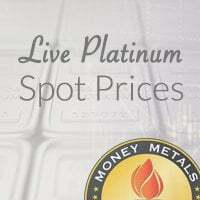 Give us a call or order right here at MoneyMetals.com today. Our friendly staff can answer any additional questions. We’re happy to provide honest advice with no pressure to buy – just great prices on the best gold, silver, platinum and palladium products for investment.